-UColor Highlights. Tap 3 for next color and 9 for previous color. -12 and 24 Hour Digital Time. Tap 11 to Toggle. 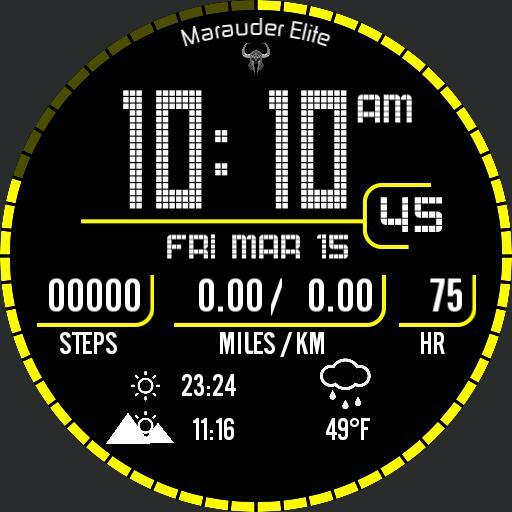 -Watch Battery Meter - Outer Ring.